Transform your company's talent experience by delivering instant recognition on demonstrable competencies and skills, drawn from co-workers, team leaders, managers and partners. 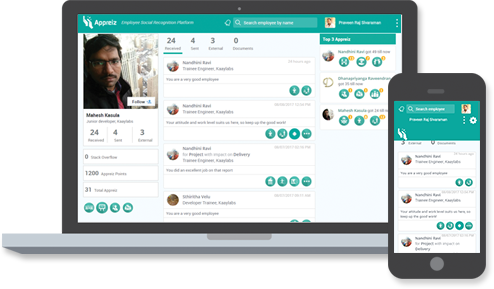 Appreiz makes it excitingly possible for HR and managers engage with and motivate talent on an open platform. For the talent, Appreiz enables peer reviews to be received and forwarded, goals to set and managed and self analysis through the Appreiz Graph. For the management, Appreiz's 360 dashboard makes it easy for instant and continuous talent assessments, on a range of competencies. The App makes gamification of awards and spot rewards so easy and thrilling. This SaaS based solution is easy to set up and can be custom fit to your requirements. The features are scalable and a quick cloud version is available. The app's real time dashboard, displaying performance data can be used to motivate employees with on the spot awards, perks and focused recognition. Gamified rewards raises the award experience and makes receiving and giving them fun and memorable. It enables the company to become a millennial friendly workplace. The app makes giving, receiving and sharing reviews, easy and transparent.The reviews can be from co-workers, team leaders, managers and partners and will place the recognizable talent and performance in the upfront. The reviews can be forwarded by the employee to relevant company heads too. The App enables managers and workers to set team/individual goals and track the progress towards achieving them. These regular check points show whether the goals are met, and how successfully. 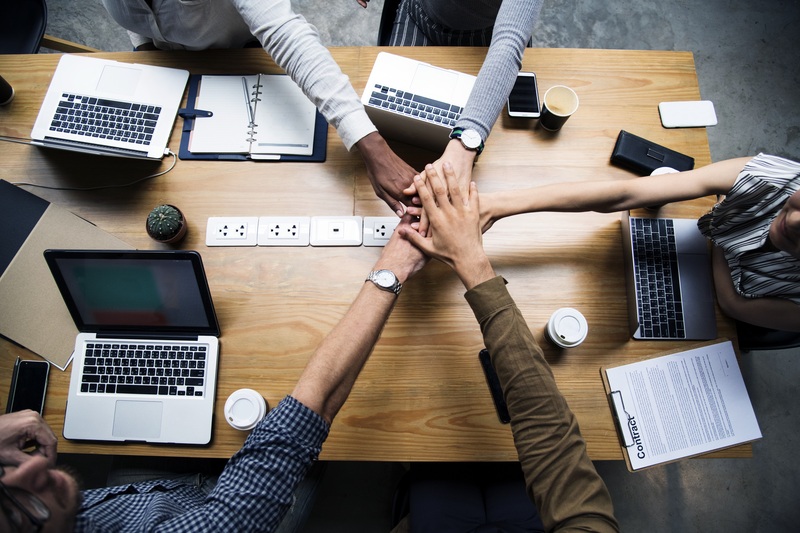 The app's continuous, 360 degree recognition, feed forward and customizable 'frequent check in engagements' with the manager powers a mentoring relationship between manager and employee. With just a quick glance, managers can create most suited talent teams for projects, thereby upping success levels. It makes for no-surprise, easy performance management discussions. You can announce up-coming events and communicate company-wide messages through Appreiz. The feature enables you to conduct instant polls to gauge interest in an upcoming event or program and thereby, raise engagement levels for the it. You can also get an insight into the employee moods in pre or post event through this feature. The real time dashboard gives the performance pattern of the employees at a glance. It helps in talent identification and matching skills to jobs. It makes motivating, promoting, training and development of talent, easy and quick. It shows the happiness quotient of the organization. Through the various features of the app, especially the Employee Happy Meter, the management can get a clear picture on how the company engages with its employees, and raise it to exciting levels. The patent pending Appreiz Graph gives every worker a comprehensive, timeline based career graph overview at their fingertips. This transferable information highlights the employee's capabilities and shows out areas of strength and challenges. The app integrates very well with Slack. Based on slack interaction, slack bots come alive and has conversation to create Appreiz. Microsoft teams bots will be available soon. This SaaS based app can quickly be set up and is very easy to use. Offers a wide range of fun and engaging reward deliverables to energize the work culture. To quickly start using the app, get the ready-to-go Appreiz Lite or Appreiz. Our slew of features can be incorporated into your own cloud based platform. Choose your features, create your own gamified reward, and review parameters. Appreiz offers you Rewards system, peer feedforward, collaborations, or a configurable pulse survey can be smoothly integrated into your system. Because we’re confident you will come back for more!